Also called Hedera algeriensis or Algerian ivy. Native to the Canary Islands and the Mediterranean coast of North Africa. Shiny, rich green leaves 5-8 inches wide with 3 to 5 shallow lobes. 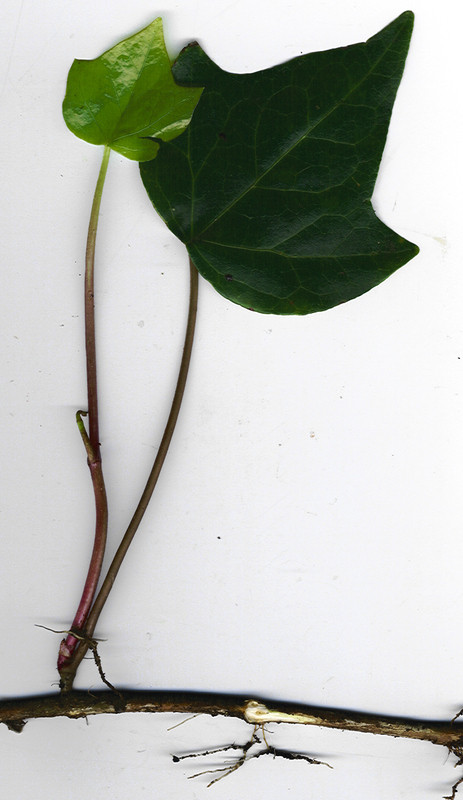 The leaves are more widely spaced along the stems than those of Hedera helix. 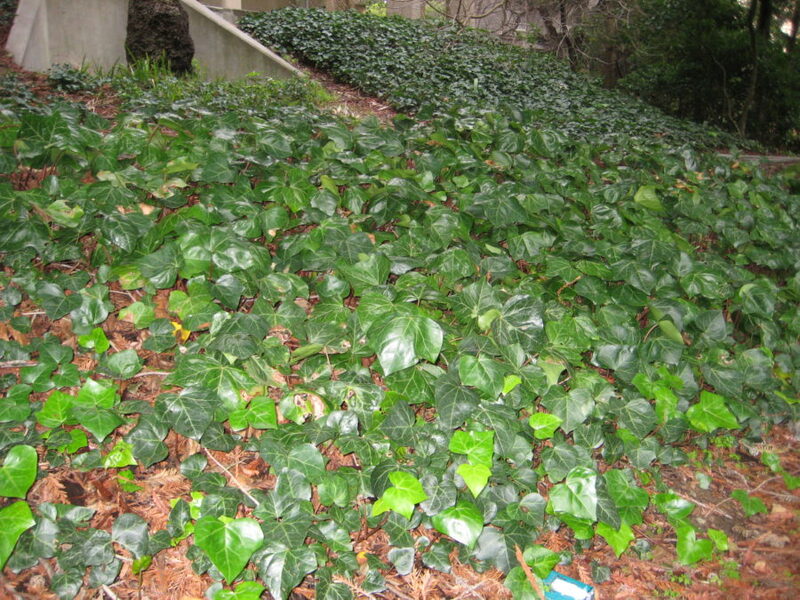 Like Hedera helix, Hedera canariensis replaces native vegetation by covering the ground and preventing native seedlings from getting enough light. It also climbs up trees and smothers them. the seeds are spread by birds that eat the berries. It also roots as it grows along the ground and can regenerate from fragments. See CalWeedMapper for its current distribution in California outside of cultivation. Both Hedera canariensis and Hedera helix were considered for addition to the list from 2012-2014. They were not included in the survey because more research is needed about which species are being sold in California and where each species is invasive in California.